Moving is not easy, but the right help can make it pleasant. 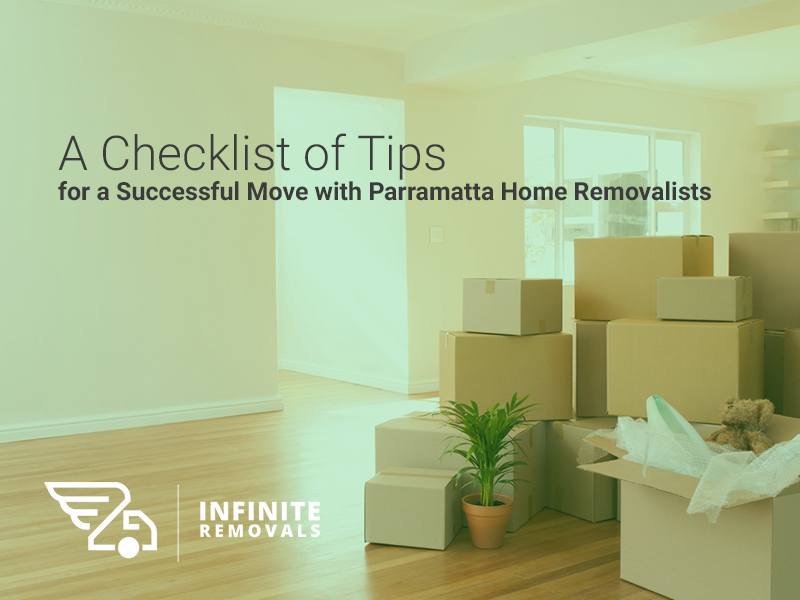 This is why the services that are provided by home removalists in Parramatta or in other areas are indispensable; the secret is to make sure that you will be getting your money’s worth. In this article, we have compiled a list of the most important things that you can do to have a successful relocation experience, with the help of your moving team. Make sure your removalists are insured. Your home removalists should be insured, if you want to avoid potential issues from untoward incidents. Ask your moving company about the type of insurance that they provide, and make sure that it can cover both liability concerns for their staff and coverage for damaged, stolen, or lost goods. Pick a mid-week or mid-month moving date, if possible. Demand for home removalists is usually at its lowest when it’s the middle of the week or the month. As such, rates may be lower than usual and you will have an easier time booking a team. Give due notices and tie up loose ends. Once you have designated your moving date, the next thing to do is to inform the right people and agencies about your intention to move. These include your landlord (if you are renting), and your utility companies. Your mailing address should also be updated, moving forward. Calculate packing needs. Afterwards, you can set about setting down to the technicalities of moving. How many boxes will you need? How long will it take to transfer your things from your current place to your new one? Will your home removalists provide professional packing services? If not, how many days will you need to be able to get everything boxed? These and more are all important considerations that you should think about, prior to actually packing everything in. Box up non-essentials first, then essentials. When it’s time to pack, don’t forget to pack in your non-essentials first. These are the things that you will not immediately need when you finally move. Then, sort out the essentials. When packing them, it is useful to post a sticky note to the exterior of the box where you have packed certain things, for your reference later. You can also opt to colour-code the boxes, according to the type of their contents. Kitchenware and components, for example, can go in one box; bathroom essentials can go in another. However you opt to do it, just keep a running list of where you have stashed things. When it comes to furniture, getting professional assistance from your home removalists in Parramatta or in other areas to make sure everything is packed safely and properly is recommended. Hire a sitter if you’re moving with kids or pets. Finally, make sure that your children or your pets will have the care that they need come moving day. As much as possible, they should be kept away from the hurly burly of the whole process while it’s still being carried out. Additionally, you and your moving team will be able to work faster and better without the distractions of kids and pets in your new house while it’s still being set up.